SOME DENY the situation exists. “It’s all good.” Nothing needs to change. — they may get angry quickly, blame others, and live in denial. — they often try to put on a happy face, but suspect they’re in trouble. Then, there are those who admit the need. They try and try again to “fix the problem,” but finally give up. — some try to hide their failure behind success in other areas. they ache inside late at night. some give up entirely. The few who overcome the present difficulty celebrate briefly, then find trouble and its friends still crouch at the door. Roadturn principle: Face it, life is tough. We want everything to be wonderful, but it’s not. We want people to be kind and considerate, but they’re not. We want everyone to have plenty of money and stay healthy, but they don’t. We fail to see a hugely important point: This is the world, not Heaven. There’s a day coming when all things will be set straight, when all things will be known, when joy shall reign … but that day isn’t here yet. The sunrise was spectacular this morning. A low red glow turned into a sky brilliant with color and promise. My heart stirred with thankfulness … yet at that same moment, somewhere a child was starving, a woman was getting beaten, a man was dying of a drug overdose. I don’t have to dwell on the horror, but I’m a fool to pretend it doesn’t exist, and I’m a bigger fool to blame someone else for it. Pain and struggle are part of the way things are. Even if every human being would immediately wake up and begin taking care of one another instead of hurting one another, there would still be hurricanes, volcanoes, sickness, and death. Back to you and me, though. Which stage describes us? What path are we on? Each of us must choose our fundamental belief about life … and that choice will frame our interpretation of everything that happens. Some of us try to avoid taking a stand, but circumstance eventually catches up to us all. The jig is up. The game is over. The day of reckoning is here. Is life a problem to be solved? Is it a struggle to be endured? The rich guy who killed himself could’ve perhaps learned something from the poor guy who wears a smile to his factory job every day. The homeless person blaming the government for not taking good enough care of him should maybe speak with the guy working at the Salvation Army to take care of others. I’ve come to view the present moment as a school, one meant to teach us critical lessons about the nature of love, work, wisdom, and community … and one designed to prove to us the ugliness of error. I choose Faith over fear and Love over hate. Note: I’m not a psychiatrist. I don’t even play a doctor on TV. 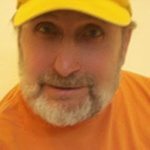 I write from my own life experience and observations. 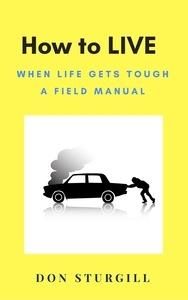 I’ve a master’s degree in the humanities, and I’m the author of How to LIVE, a field manual for getting unstuck. If you’ve a medical concern or condition, ask your doctor. I can pray for you and share Roadturn principles with you … but I’m not a clinically trained counselor.